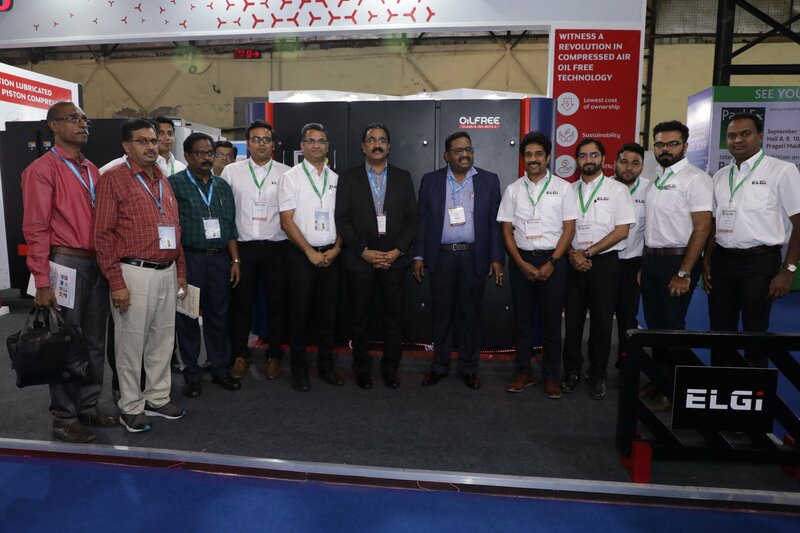 Elgi Equipments, one of the world’s leading air-compressor manufacturers, recently participated at the India International Dairy Expo 2019, from April 3 to April 5, 2019 at the Bombay Exhibition Centre, Goregaon. Dr. K. Gopal IAS, Animal Husbandry, Dairying and Fisheries Dept, Principal Secretary to Government of TN and Mr. C. Kamaraj IAS, MD Aavin, inaugurated ELGI’s stall at the event. ELGi showcased its range of Oil Free compressors, Rotary screw and Piston air compressors. As part of the display, Elgi also introduced its newly launched AB 'Always Better' Series of Oil Free Screw Air Compressors, recently launched globally at Hannover Messe, ComVac 2019. The AB series is a disruption in oil free compressed air technology, offering customers a no-compromise, oil free solution at approximately 8 – 10 per cent reduced lifecycle costs when compared with prevailing oil free technology. These compressors are best fit for applications where presence of oil vapor and moisture is intolerable. With significantly lower maintenance and ease of use, customers will also be assured of reliable, high air purity for sensitive applications in Food and Beverage industry applications’.